Don't think I mind about the baby cards... I have a niece expecting her first baby and I'm getting fab ideas from you. Love your card... I agree with you on the stars paper, Lucy... and LOVE the grey gingham you've used! I'd like a whole pad with just grey! Cute! I know that I've had a lot of friends with new babies recently, so I think it's definitely good to stock up on baby cards! Gotta love a gingham ellie! Super cute, Lucy! 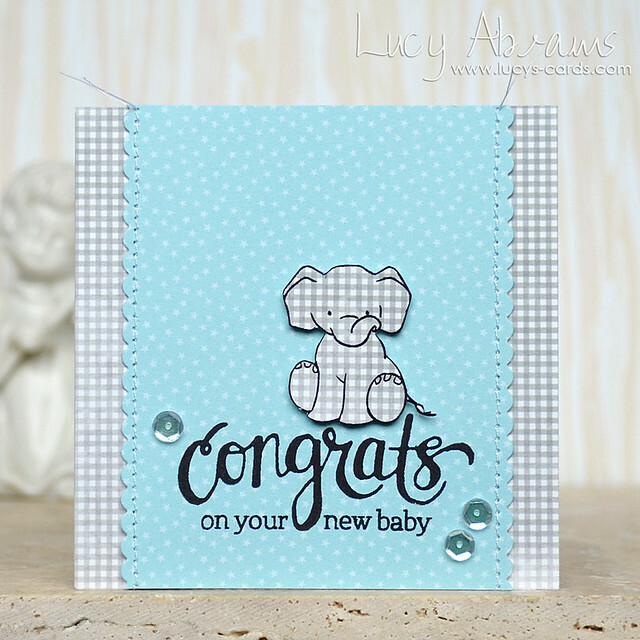 Adorable baby card!!! 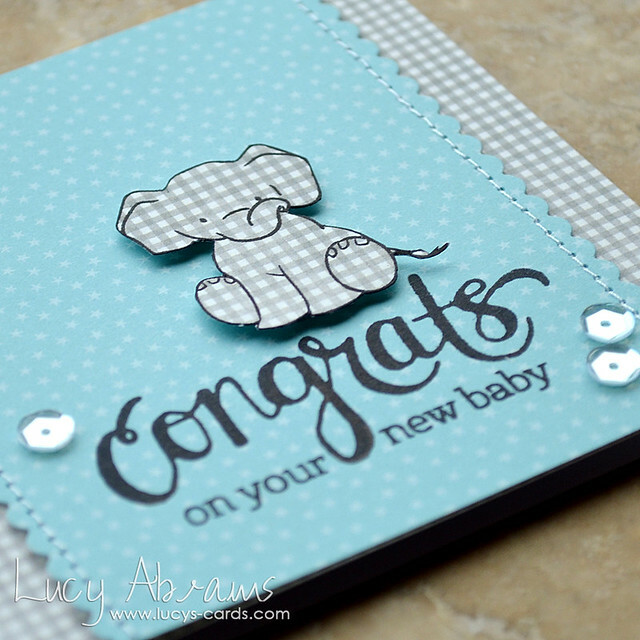 That elephant stamp set is on my wish list for sure and I love the mix of fonts in the sentiment!